I found the “Geese in the Corner” quilt idea on Pinterest. 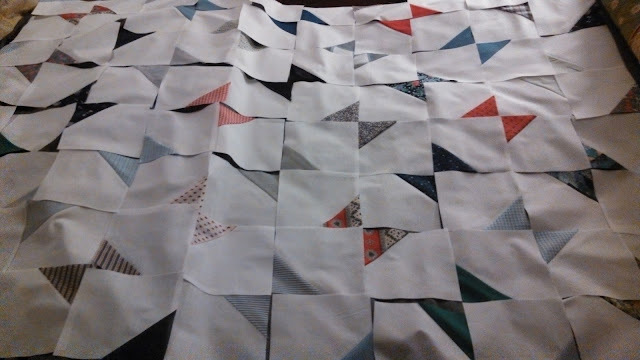 I cut large squares from solid white Moda Bella fabric that I bought at The Stitchin’ Post in Willow Springs, MO and small squares from every fabric in the box. 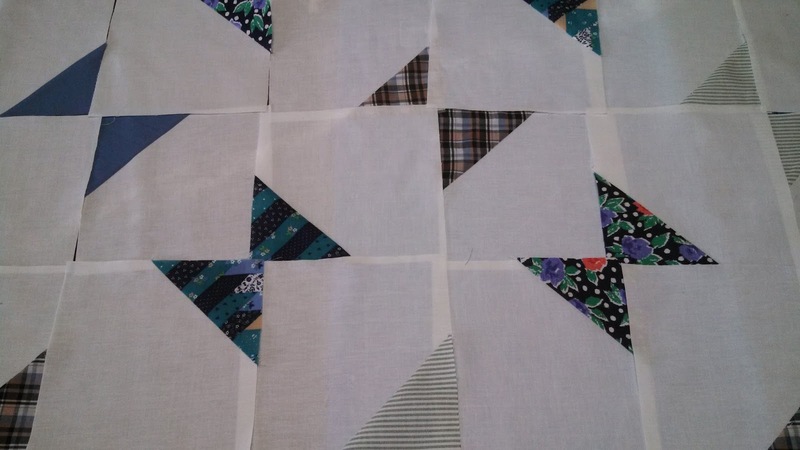 When I sewed the small square to the large square, I sewed two lines ½” apart. Then cut in-between the two sewn lines. This created the goose block, but also an extra HST (half square triangle) block. 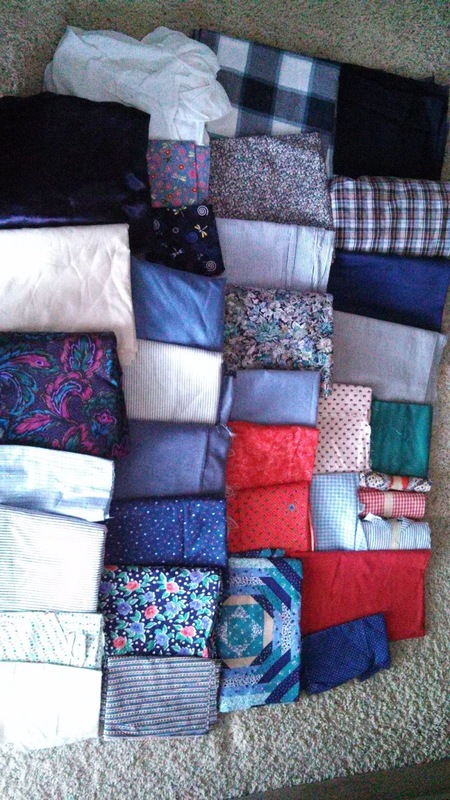 I did not have any large pieces left for a quilt back, so I purchased a navy tiny floral print from Wal-Mart. 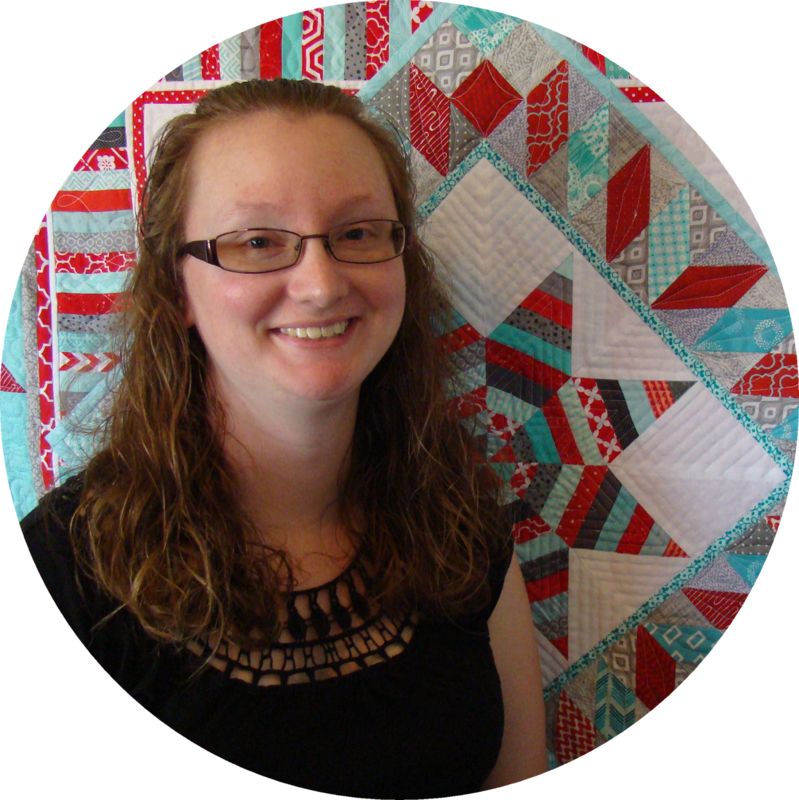 I had Kathy Michel quilt this one too. I used a red tiny floral print from Wal-Mart to bind. 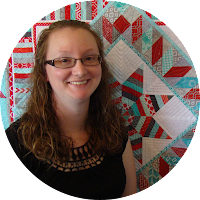 I gave the quilt (along with this one and this one) to Amanda when she came to visit us the weekend of May 2. See the quilts I made for the other two siblings here and here.